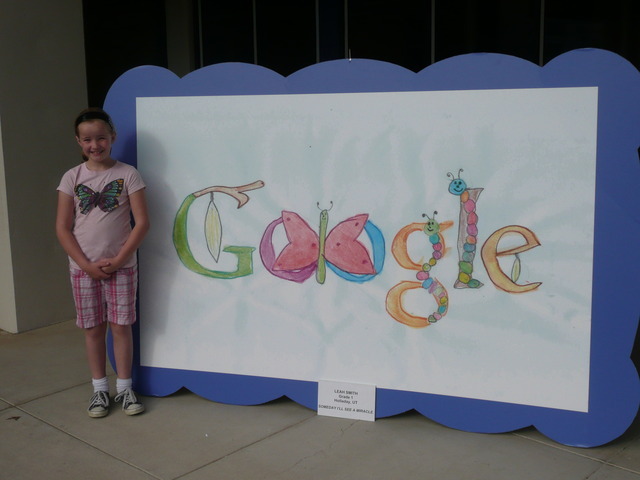 Leah Smith, an LDS seven-year-old from Holladay, Utah, was selected as a regional finalist for the Doodle4Google competition and will be competing with other finalists this week in New York City. Leah’s submission of the Google logo included caterpillars, a cocoon and butterfly. Her doodle is titled, “Someday I want to witness a miracle,” and for Leah, that miracle is watching a butterfly shed its cocoon. She said she chose that design because she wanted to see a miracle and is excited to see her drawing in New York City. 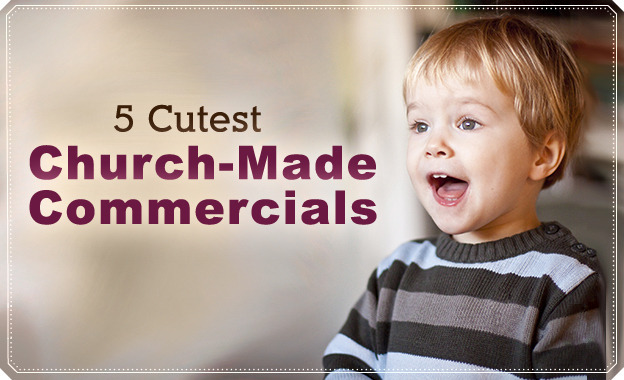 “I just like butterflies and caterpillars and art, and that’s why I drew that,” Leah said. Noni Smith, Leah’s mother, said she thinks the spiritual theme of miracles resonates more with her daughter because she is LDS. She said in some ways, miracles are just a part of life for Leah and she is one who appreciates the beauty and optimism of looking for the good in things. Noni said Leah and her brother have both entered art into a few other local competitions and Leah has a drawing in the international children’s art exhibit at the Church History Museum. Smith said she is continually looking for more opportunities and contests for them to submit their art and saw the link for the Doodle4Google contest on the Google website. She then asked her children if they would be interested in submitting a drawing. Google sent a representative out to the school on the day the 40 regional finalists were announced and the school had an assembly. Leah’s school has also shown their support by sending out emails encouraging people to vote for her. Celia Cutler, Leah’s first grade teacher, sent out emails to parents of classmates, made announcements in Relief Society and called family all over the country to encourage them to vote for Leah. “I feel it is important to support my students and what a wonderful opportunity to be with one who will be honored for her creative expression,” Cutler said. In addition to all her preliminary work, Cutler will be flying out to New York to surprise Leah after the awards ceremony. Cutler said Leah is a creative and logical thinker who does excellent work and is a leader in the classroom. She said Leah’s projects have been a product of her own thinking and her artwork is very artistic and neat. Leah, along with the 39 other regional finalists, will travel to New York City where their doodles will be featured at the Whitney Museum of American Art in New York City and the San Francisco Museum of Art. Leah competed in the K-3 grade group where finalists were selected from over 107,000 entries. The winning doodle will be announced on May 19 and will be featured on the Google.com homepage on May 20. The winner will be selected from a panel of guest judges made up of well-known actors, athletes, illustrators and cartoonists including Jeff Kinney, author of Diary of a Wimpy Kid; Tony Cervone, producer of Scooby-Doo & Looney Tunes; and Evan Lysacek, gold medalist for ice skating.